He was it for me, too. I’m not a golfer, but held him in highest esteem. He was my dad’s favorite (and Daddy was a golfer). Somehow that makes this loss even more painful. Always a gentleman. Respected around the world. A dying breed.The world needs more of his ilk, not less. We do need more like him and offhand I can’t think of anyone else that comes close. I wasn’t limiting my thoughts to sportsmen. I was trying to think of any man who was so loved and respected by so many for so long (regardless of his profession). He was one of my favorites. His passing made me think about sportsmanship generally, and worthy champions in particular. 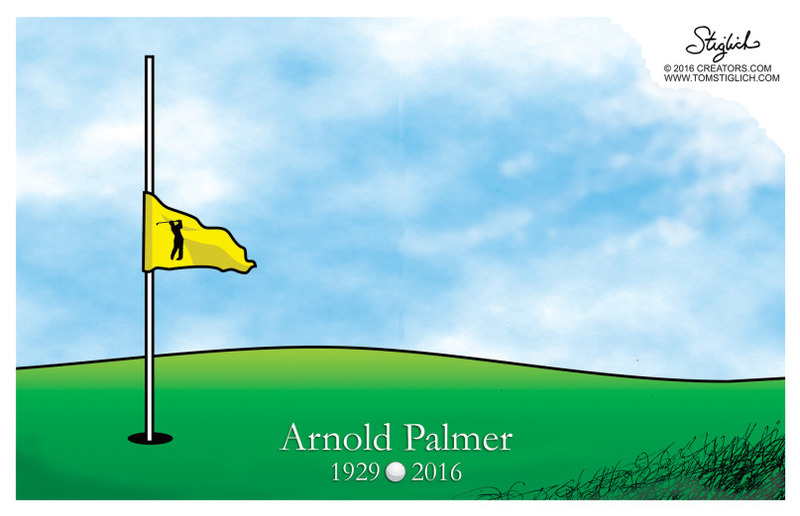 We could use a lot more like Arnie for role models in today’s troubled world. I loved and admired the man he was; his golfing was incidental (but not too shabby!). We do seem to have a growing shortage of admirable public figures and role models.